Disclaimer: StrideBox sent me a shipment free of charge to try the product. I was not otherwise compensated, all thoughts and opinions are my own. 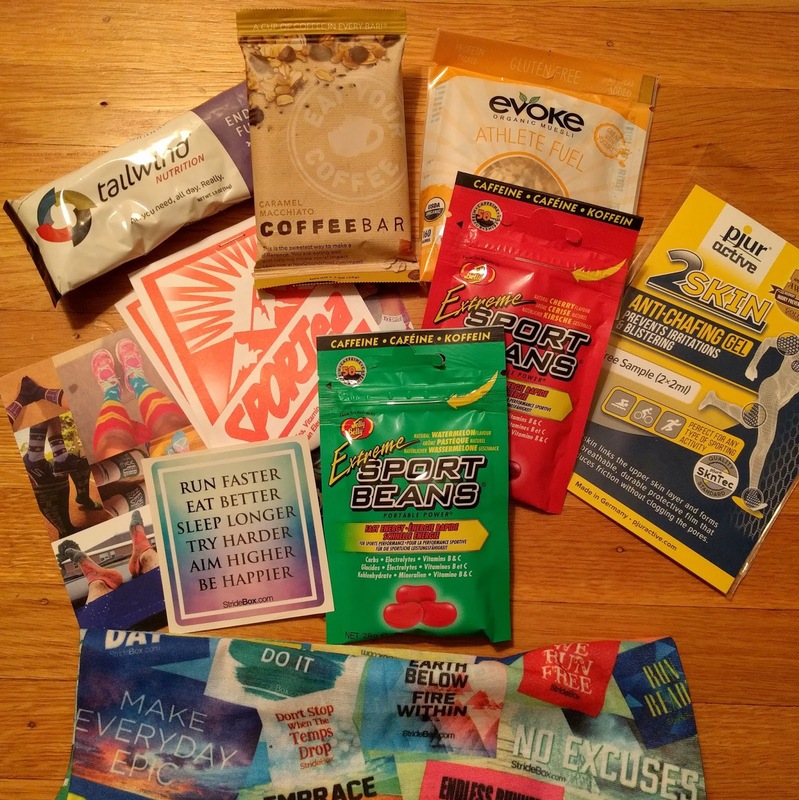 In October, StrideBox offered to send me a monthly box to check out - how could I refuse? The goal of the company is to help runners discover products and accessories via a monthly subscription. I love trying new products, and this was a good way to be introduced to items I might have otherwise missed. When it first arrived, I was entertained that the outside of the box matched my blog name. It's my own branding, no? Opening the box without having any idea of the contents was really fun. The items I received were: Tailwind, Evoke Organic Meusli, Coffee Bar, Pjur Active 2Skin, Extreme Sport Beans, SPORTea, stickers, and a combo gaiter/headband. Research tells me that each box has at least one accessory item in addition to the consumables. 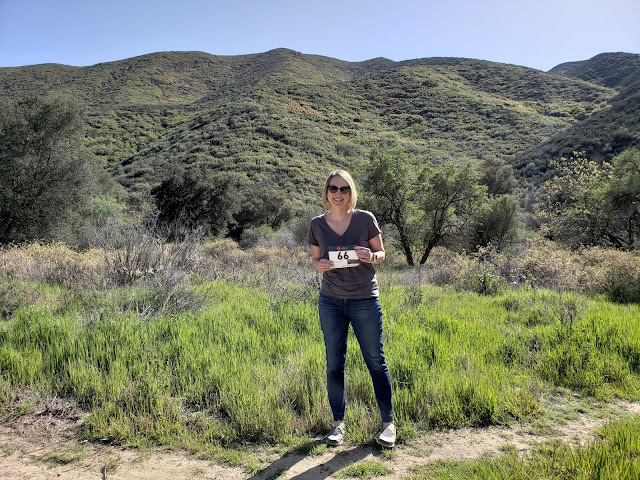 The box arrived as I was packing for Ragnar Hawaii, so the first thing I did was pack the Tailwind and Coffee Bar in my bag. The Tailwind was a single-size (2 scoops) and the Coffee Bar is the equivalent of one cup coffee. What could be more perfect for an overnight relay? Plus I'm already a Tailwind user so I knew it'd work for me. I'm still working my way through the rest of the box, and overall I enjoyed the experience. Who doesn't like getting running products in the mail? I haven't yet decided if I want to be a long-time subscriber but will likely pay for a couple of months to see what's new. StrideBox is $15 per month, it auto-renews, and can be canceled at any time. 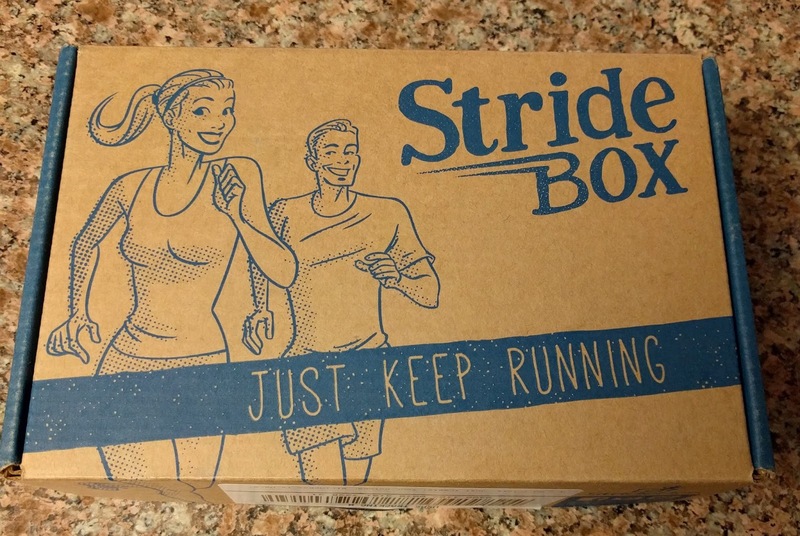 Let me know in the comments if you've tried StrideBox before and what you thought about it. Happy running!